I’m sick again because my immune system checked my calendar and noticed this would be a really bad week for me to be less than functional. My white blood cells schedule all their fights for the days I have a lot to do. It’s a fun game we like to play. I’m not good at getting sick. In an ideal world, I would get unearthly pale and sit in my bed embroidering something while people fretted around me. I’d bravely said things like, “Don’t worry about me. I’ll pull through.” with a weak, tragic smile. If it was bad enough, I’d die with a tiny sigh and a promising poetry career cut tragically short. Also, for some reason I’d be blonde. And I would have a lightsaber! I’m not graceful at all when I get sick in real life. I scare people away because I snap and whine a lot. If I tried embroidery, the best-case scenario is that I’d end up with a rudely-worded throw pillow. In the worst-case scenario, many of my friends would end up with embroidery needle-sized puncture wounds. I’m pretty sure that when I die, I’ll be burping or picking a wedgie. There won’t be a tragically short poetry career because writing poetry gives me nightmares. I think I’m bad at being sick because I have no patience for it. I get frustrated when things I usually don’t have to think about (like breathing, swallowing, and being alive in general) are harder than usual. I have other stuff to focus on. There’s no time for this nonsense! In an effort to cut the time I spend in bed down to a minimum, I run for the DayQuil whenever I get a cold. It’s never a good idea and I never, ever learn. – I like how I forget I’m sick because I’m busy staring at my knuckles or drawing weirdly detailed pictures of insects. – I like how uninhibited my social network updates become. – I like how pretty and orange the pills are. Let’s draw pictures of them! Let’s write odes to them! Let’s hold them up to the light and stare at them! – I like how cashiers have to ID me when I buy it. I start to get smug when I pull out my driver’s license. I may look like I’m 12, but I’ve been able to buy this stuff for years. GO AHEAD. MAKE MY DAY. – I don’t like how I forget EVERYTHING because I’m busy staring at my knuckles or drawing weirdly detailed pictures of insects. – I don’t like how completely unhinged and unfocused my social network updates become. Everything is black and white and there’s no sound! – Hey. Did you know you used to be able to make meth from DayQuil? – Do you want to see how weird my knuckles are? – I was taking DayQuil the day my high school biology class studied fruit fly genetics. We were each assigned a fly and we were supposed to be drawing quick sketches of its genetic traits. I spent the entire class period drawing my fly. It was amazing. I got every little hair on his little fly back. Every line in his wing. Every weird bump on his weird fly face. After class, I tried to give the picture to the biology teacher I had a crush on as a gesture of affection. He graded it and handed it back. I’m going to die alone. – One time I thought there was a serial killer after me. – Another time I went on this DayQuil-induced rant about Facebook etiquette. 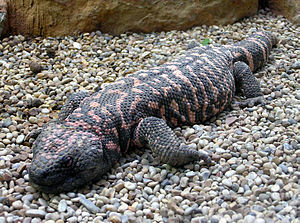 – When I got sick in February, I became totally convinced there was a gila monster under my bed. I also spent the whole day only wearing mascara on one eye because I got distracted halfway through my morning routine by an intense need to Google pictures of lizards in hats. Pictured: A gila monster. Not pictured: My bedroom, a hat. – That same day, I felt it was vitally important to shave my legs without getting my hair wet, which is tricky when you don’t have a tub. With DayQuil as my muse, I invented a cool shower cap! Then I decided that taking a picture of myself while wearing it was a really good idea. 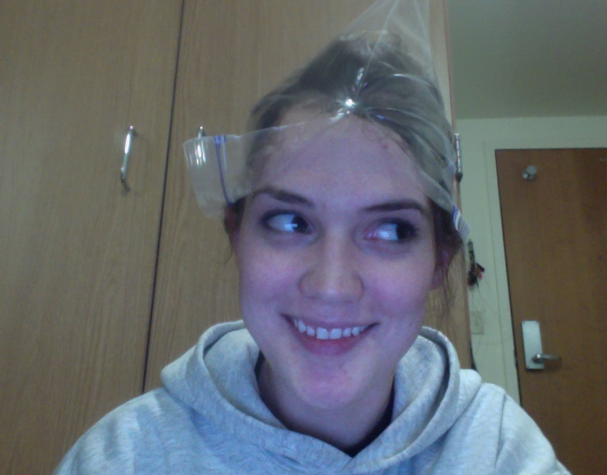 Now I have a nice photo of me looking really excited about wearing a Ziploc bag on my head. American ingenuity at its finest and least-embarrassing. – Most recently, I wrote a super pointless blog post about DayQuil shenanigans. When I couldn’t think of a conclusion, I just changed the– OH MY GOD! MY KNUCKLES ARE SO BONY, YOU GUYS. The upside of embroiding profanity on throw pillows is that you can physically throw it in someone’s face when you’re struck speechless by their idiocy. I wish I had profanity-pillows, I’d never have to open my mouth again. Except to eat and drink, of course. Ohhh!!! A red lighstaber…. You’re a Sith!!! Yay!!!! 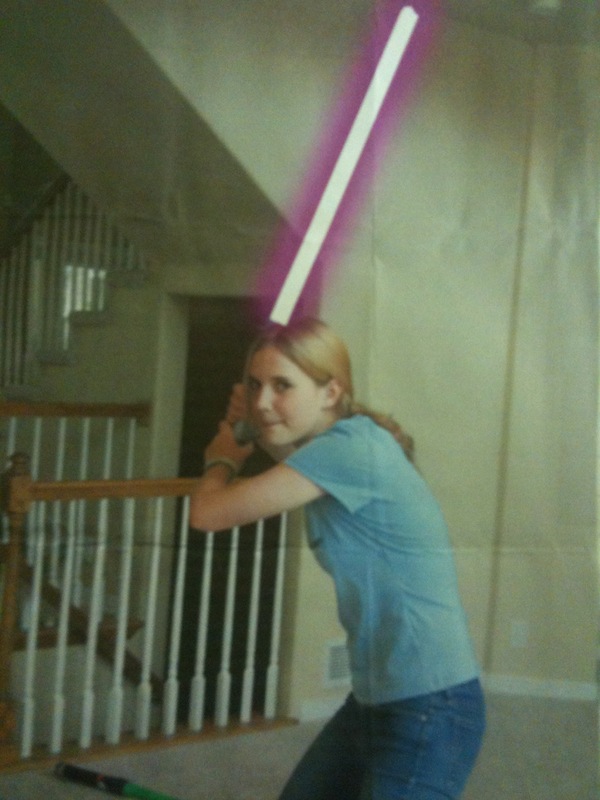 It’s violet, like Mace Windu’s. How embarrassing that I know this. You’re so funny. Now I have to find you on Twitter. How are your knuckles now?! I’d say back away from the Dayquil, but your posts are too funny, so just be careful about how much you take and get better soon! Please marry me forever. We’ll not have kids and it’ll be fantastic, I promise. Granted, I’m certainly no expert on the subject, but don’t women shave their legs in the sink when a tub’s not available? I’m pretty sure I had either had an ex tell me such a tale, or I saw her doing it.